The Knysna seahorse is only found in a small section of South Africa and is one of only two seahorse species in the world currently listed as endangered. 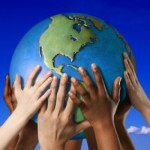 Locals need to act quickly to save the remaining specimens. Many divers, particularly photographers, have a bucket list of all the species they want to see before age catches up with them and diving is no longer an option. Back in 2009, I drew up my own personal bucket list of the 10 marine species that I wanted to photograph before I turned 50. The #2 species on my list is the world’s most Endangered seahorse, the Knysna seahorse (Hippocampus capensis). This January, I was invited to take part in a research project on the Knysna seahorse in South Africa, so I jumped at the opportunity. My destination was the small coastal town of Knysna, on the southern coast of Africa, where I spent some time with Dr Louw Claassens. Louw is one of the leading authorities on the Knysna seahorse, having spent the past 4 years studying the species as part of her PhD. She is now the Director of the Knysna Basin Project: an environmental NGO focused on continued research within the Knysna Basin – one of South Africa’s most important estuaries. Louw investigated how artificial structures, such as marinas, influence where we find seahorse species and how many we find. 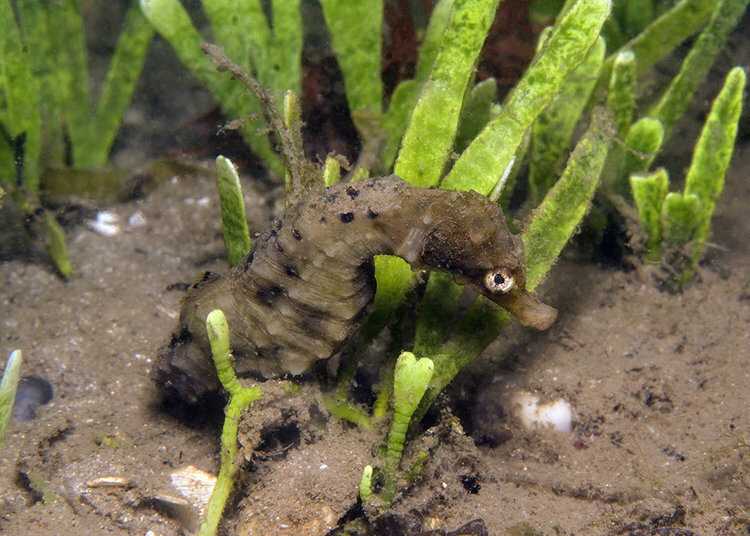 Information from her project is used to manage the Knysna seahorse and reduce the chance of it going extinct in the wild. I was fortunate to spend two days in Knysna where I managed a few dives to check out the Knysna seahorse and see what was contributing towards making it the most endangered seahorse in the world. 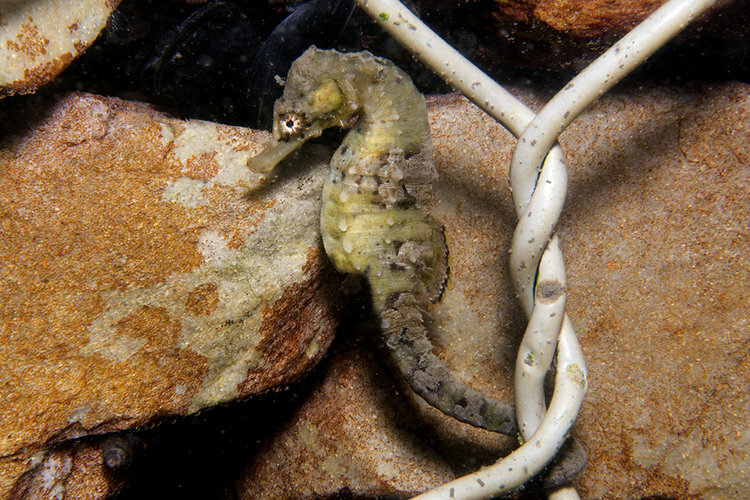 So, what makes the Knysna seahorse so endangered? It has a very limited distribution, which is the main reason it is ‘Endangered’ on the IUCN Redlist. 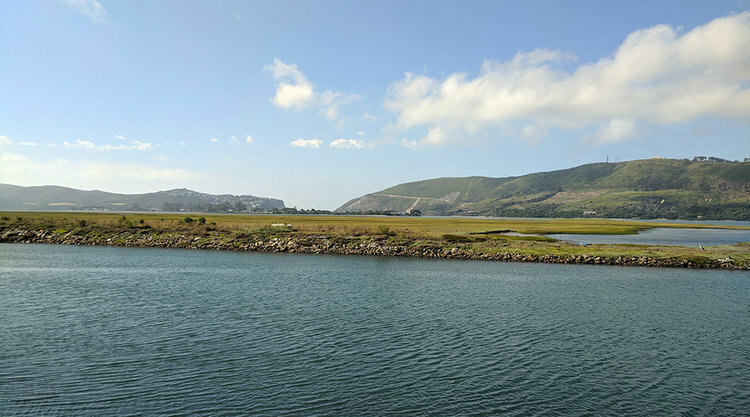 We have found it in only three estuaries (in the world): Keurbooms estuary in Plettenberg Bay, the Knysna estuary (above photos), and the estuarine portion of the Swartvlei system in Sedgefield. Within these South African estuaries, the habitats that they rely on, such as seagrass and algae, are under threat from sedimentation, boating activities, expanding coastal developments, and more specifically, nutrient enrichment in the Knysna estuary causing displacement of the eel grass by nuisance algae. The view of the Knysna estuary from the marina. This is why Louw’s research on the role of artificial structures in conserving the Knysna seahorse is so important. If the natural habitats continue to decline, perhaps the seahorses can be conserved through the installation of artificial habitats? Louw’s research addressed this question by assessing the effects of a new marina estate development on the Knysna seahorse. Her research focused on the Thesen Islands residential marina estate, located in the eastern section of the Knysna estuary. Building of the estate began in 2000 and ended in 2005. What sets this marina apart from conventional developments is that the canals were made out of Gabions and Reno mattresses (wire boxes filled with rocks). Louw found significantly higher densities of seahorses on artificial Reno mattresses compared to nearby vegetation. The reason for the higher occurrence of seahorses on the artificial habitats over the natural habitats was unknown, but she speculated that perhaps there weren’t enough natural habitats available, so the seahorses moved onto the artificial structures – so she set out to test this. Louw did a controlled experiment, where seahorses could choose between natural seagrass vegetation (Zostera capensis) and artificial Reno mattress habitat. She found that the Knysna seahorses were more likely to move away from the seagrass habitat onto the Reno mattress or remain on the Reno mattress. 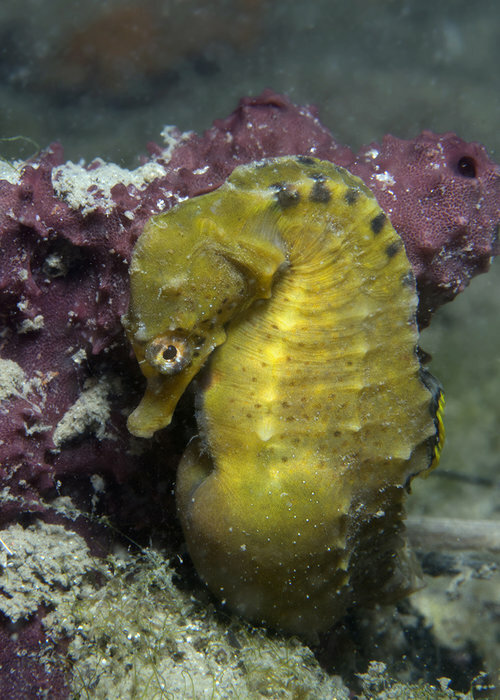 Reno mattress seems to provide more areas for seahorses to hold on to, as well as protection from predators, with all its nooks and crannies. Female Knysna seahorse using the reno mattress habitat within the marina. Now, Louw wants to find out how many Knysna seahorses live in the Knysna and Keurbooms estuaries. This baseline information on the actual numbers of seahorses occurring in the estuaries is important so that in the future we can see if the populations are recovering or continuing to decline. While estimating numbers of seahorses in the wild is very challenging it can be done – through a mark-recapture process. 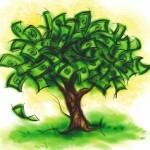 This is where I come in. I showed Louw how to mark seahorses with their own identification marks using a material known as VIFE (visible implant fluorescent elastomer). Each seahorse is injected with three little marks, approximately 1 mm in length (see photos below for example). These marks sit just under the skin of the seahorse and placed on various locations of the body – allowing each individual seahorse to be uniquely identified. (Note that seahorses are not harmed during this process). In addition to obtaining population estimates, marking seahorses allows us to monitor each seahorse over long periods. In my study of another Endangered seahorse – White’s seahorse (Hippocampus whitei) in Australia – I was thrilled to find seahorses marked with VIFE living in the wild up to five years after initial capture. We don’t know if the Knysna seahorse likes to stay in the same place, or whether it is more of a ‘roamer’ that moves around the estuaries. Pregnant Knysna seahorse male on purple sponge habitat. Louw is hoping that the individual marking of Knysna seahorses will help us find out. With assistance from the Konrad Taeuber Trust and the Rufford Foundation, Louw will be doing diving surveys over the next 12 months to understand better the species’ movements, home range and population abundance. While this South African visit provided me with the opportunity to tick off the #2 species on my bucket list, it became so much more than a photography excursion. Observing this species up close in the wild and seeing how incredibly fragile its habitats are made me realise how important people like Louw, and the role she plays, are in ensuring its ongoing survival. We all need champions – even seahorses. At the end of the day, we have a responsibility to make certain that the Knysna seahorse doesn’t become the first seahorse to go extinct in the wild. Dr Dave Harasti is a marine scientist in Australia who specializes in research on threatened marine species and marine protected areas, and is a member of the IUCN Seahorse, Pipefish and Stickleback Specialist Group. He is also an iSeahorse National Seahorse Expert for Australia.